Is there anyone who doesn’t love lasagna?? 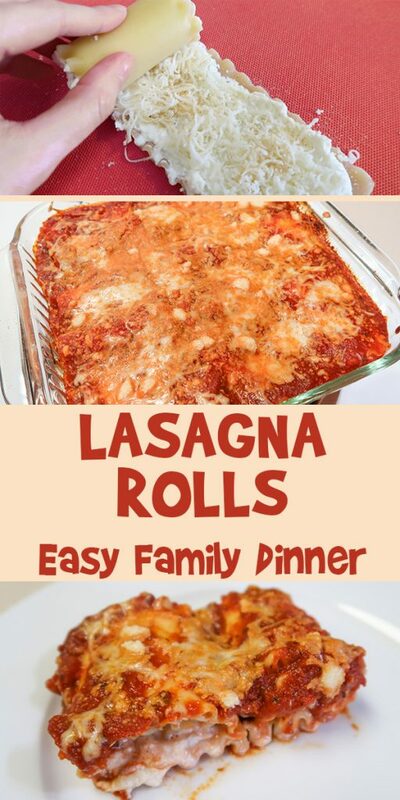 Today I’m going to share with you how to make these fantastic Lasagna Rolls! They’re perfect for an easy family dinner, and can be made in advance and baked the next day. 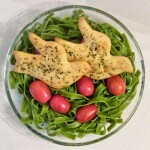 This is one of those recipes that is more assembling than cooking, so it’s a great one to have the kids help out with too! 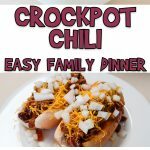 My recipes tend to be very family style, so some ingredients may not have exact amounts, but I include plenty of photos to guide you along the way. 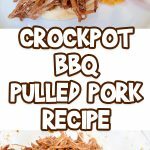 Also, at the bottom of this post you’ll find a printable version of this recipe to add to your recipe collection! Pasta sauce. You can use store bought or make your own. Optional: salt, pepper, garlic powder, italian seasoning. Start by filling a large stock pot with water, and add salt to taste if you’d like. Set the pot on the stove on high heat. 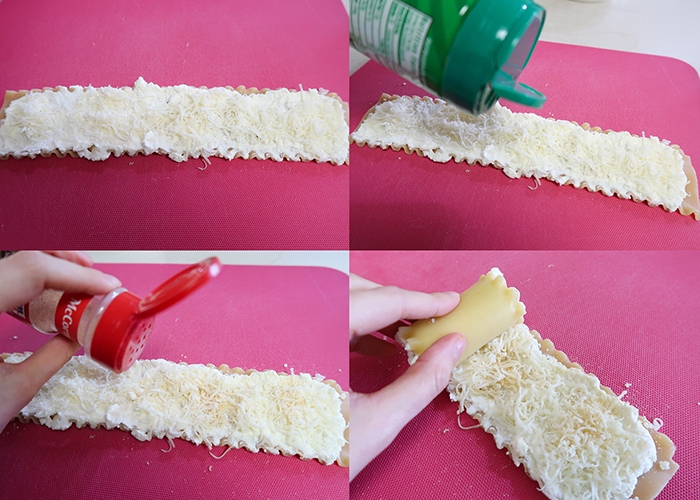 While you’re waiting for the water to boil, go ahead and shred your mozzarella cheese. I used about 8 ounces, but we love lots of cheese in our house! Make sure you have a baking dish ready to go, then line a baking sheet or cutting board with paper towels. This will be for our lasagna noodles once they’re cooked. When your water comes to a boil, put your lasagna noodles in the pot and set a timer for 8 minutes, or whatever time your particular brand of noodles recommends. You may have to do them in batches, as I could only fit about 6 noodles in my pot at one time. Set your oven to 350?F. Make sure to gently stir your noodles while they’re cooking. I like using kitchen tongs for working with lasagna noodles. 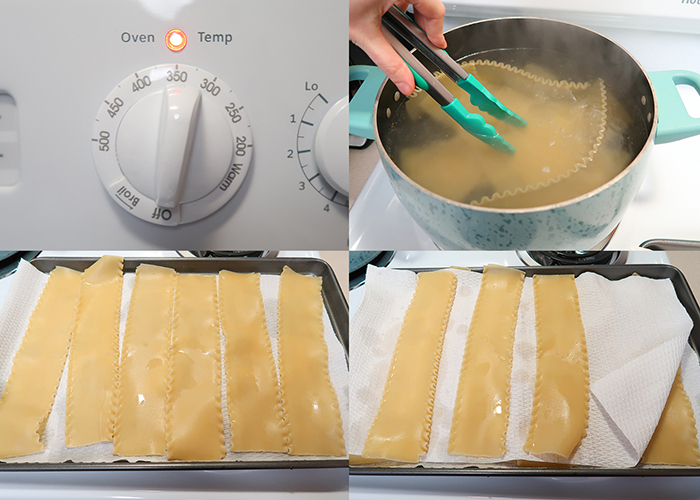 When your timer is up, gently remove the noodles one at a time, and lay them out on your paper towel lined baking sheet. If your sheet fills up, add another layer of paper towels on top and continue laying out your noodles. I used 11 noodles for a 9×9 inch baking pan, but you may need more or less depending on the size of your family or the size of your dish. Plan for at least 2 noodles per person. Let’s get to assembling our lasagna rolls! Now put a generous amount of sauce on the bottom of your baking dish, enough to cover the bottom. 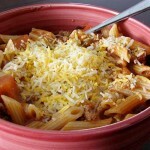 Lay out one of your lasagna noodles on a cutting board or other work surface. 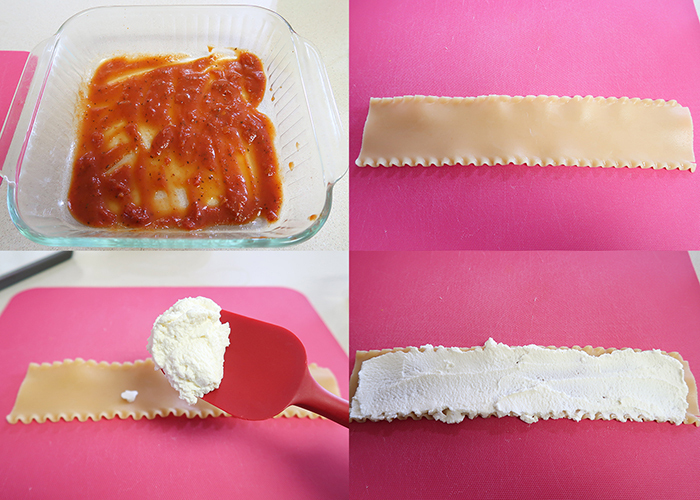 Take a big spoonful of ricotta cheese and spread it out on your noodle. Next, layer some of your shredded mozzarella cheese on top of the ricotta. Top it with a sprinkle of parmesan. If you’d like some extra flavor, go ahead and add seasonings like garlic powder or Italian seasoning on top of the cheese. Now all you need to do is roll them up! See how easy these are? You can even set up a little assembly line and have the whole family work together. I love how they look like little flowers when they’re all rolled up. 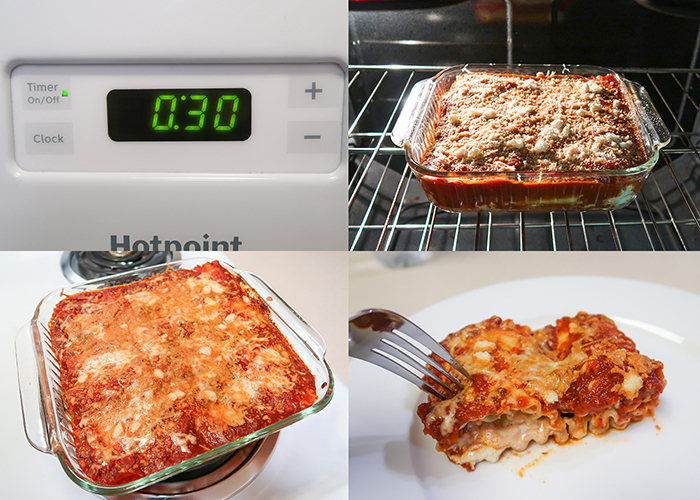 As you finish each lasagna roll, set it in your baking dish. 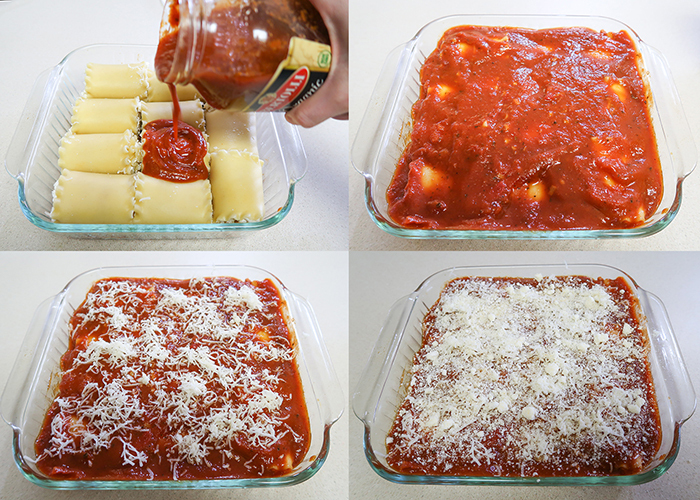 Top the rolls off with as much sauce as you’d like, and then sprinkle the top with any leftover mozzarella and parmesan. 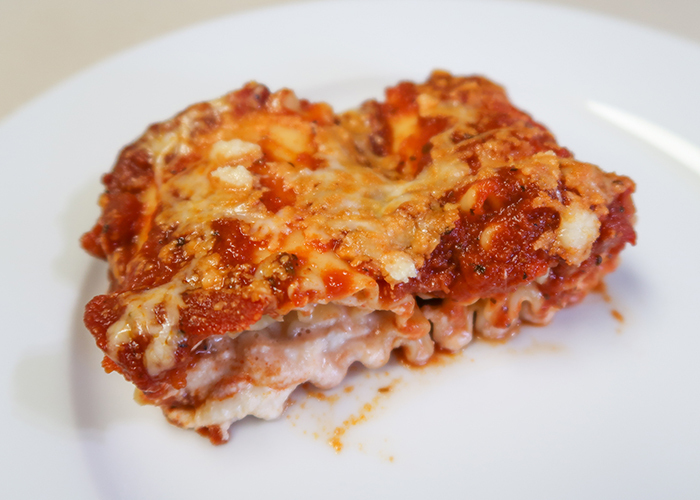 Pop it in your oven for 30 minutes, and when it’s done you have these amazing lasagna rolls! Let them cool in the pan for about 5 minutes, and then serve! 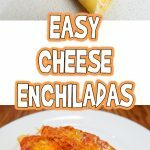 These were a huge hit at my house, and I hope your family will love them too! Is there anyone who doesn't love lasagna?? 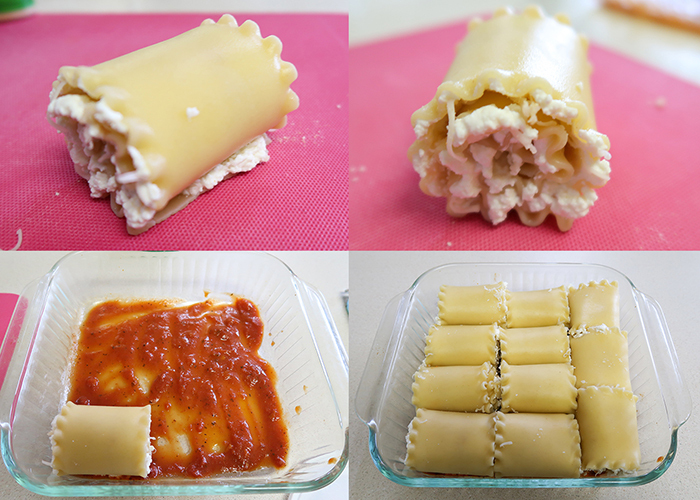 Today I'm going to share with you how to make these fantastic Lasagna Rolls! They're perfect for an easy family dinner, and can be made in advance and baked the next day. 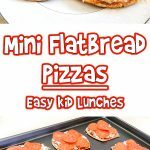 This is one of those recipes that is more assembling than cooking, so it's a great one to have the kids help out with too! 1 jar Pasta sauce. You can use store bought or make your own. Start by filling a large stock pot with water, and add salt to taste if you'd like. Set the pot on the stove on high heat. 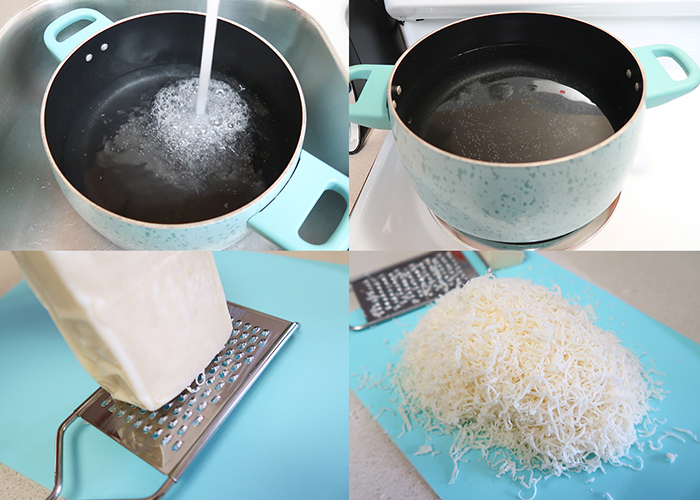 While you're waiting for the water to boil, go ahead and shred your mozzarella cheese. Have a baking dish ready to go, then line a baking sheet or cutting board with paper towels. When your water comes to a boil, put your lasagna noodles in the pot and set a timer for 8 minutes, or whatever time your particular brand of noodles recommends. You may have to do them in batches. Set your oven to 350F. Make sure to gently stir your noodles while they're cooking. 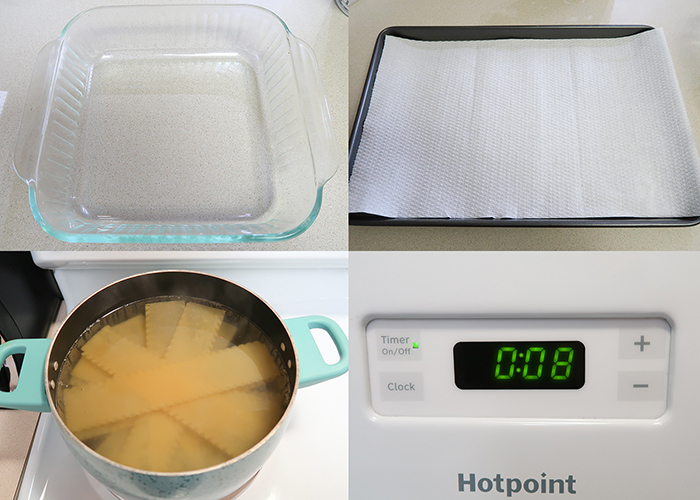 When your timer is up, gently remove the noodles one at a time, and lay them out on your paper towel lined baking sheet. If your sheet fills up, add another layer of paper towels on top and continue laying out your noodles. I used 11 noodles for a 9x9 inch baking pan, but you may need more or less depending on the size of your family or the size of your dish. Plan for at least 2 noodles per person. Now put a generous amount of sauce on the bottom of your baking dish. 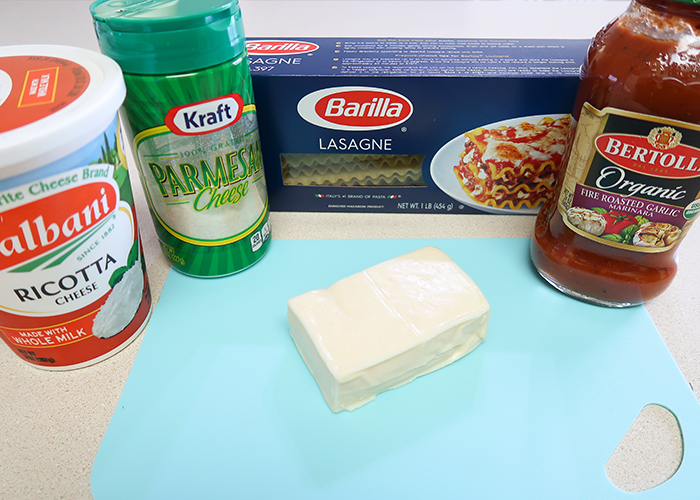 Lay out one of your lasagna noodles on a cutting board or other work surface. Take a big spoonful of ricotta cheese and spread it out on your noodle. Next, layer some of your shredded mozzarella cheese on top of the ricotta. Top it with a sprinkle of parmesan. If you'd like some extra flavor, go ahead and add seasonings like garlic powder or Italian seasoning on top of the cheese. Now all you need to do is roll them up! As you finish each roll, set it in your baking dish. Top the rolls off with as much sauce as you'd like, and then sprinkle the top with any leftover mozzarella and parmesan. Pop it in your oven for 30 minutes. When you take them out, let them cool in the pan for about 5 minutes, and then serve!